Pre-2000 in the US Mr. Blackwood-Lee was a quantitative analyst, coding up and implementing AI-driven algorithms that were both deployed internally and sold to clients. In Asia since 2000, he spent 12 years in corporate VC and PE, taking a brief break to found and sell a start-up in Beijing from 2006-2008. Deals ranged from B2B logistics to online B2C retail to infrastructure and energy; and geographies included Mongolia to India to ANZ and everything in between. He has published several VC / PE business cases via INSEAD. 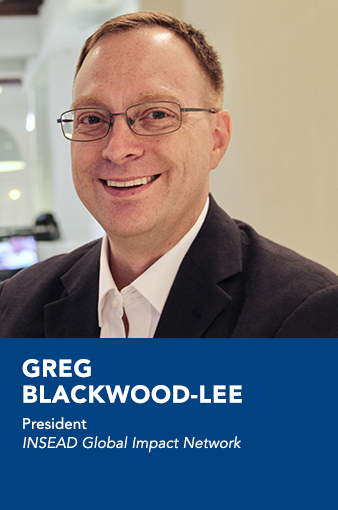 Since 2013 Mr. Blackwood-Lee has spent his time operating his own quantitatively-driven (AI-based) social impact fund; angel investing in tech ventures in the US and Asia; and serving on the boards of numerous companies from startups to Metanet (a USD $1B independent Korean technology consulting services firm, owner of Korea Accenture and AT Kearney), and on the Investment Commiiee at NUS Enterprise. Mr. Blackwood-Lee studied Computer Science at Stanford (BA) and Finance/Entrepreneurship at INSEAD (MBA), and speaks several languages.